Teletubbies first appeared almost twenty years old – my biggest sister who was 20 yesterday loved them so much when she was a baby. Mummy remembers that MeeMee loves Teletubbies books. Po was MeeMee’s favourite. Well, last November Teletubbies made a huge comeback to CBeebies and they are more popular than ever. They have changed just a little to bring them bang up to date for us tots today, and we love Teletubbies. 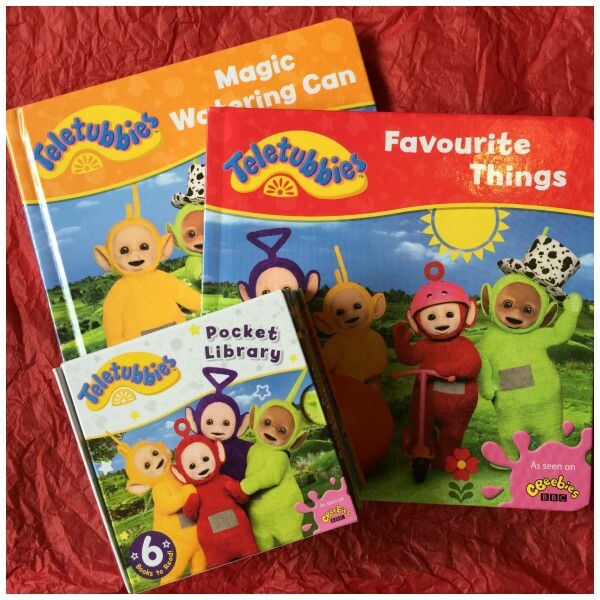 I have been very lucky, and sent a bundle of fab Teletubbies books – and I have a set to giveaway to one lucky reader too! I have been sent The Pocket Library, Teletubbies: Magic Watering Can and Teletubbies: Favourite Things. 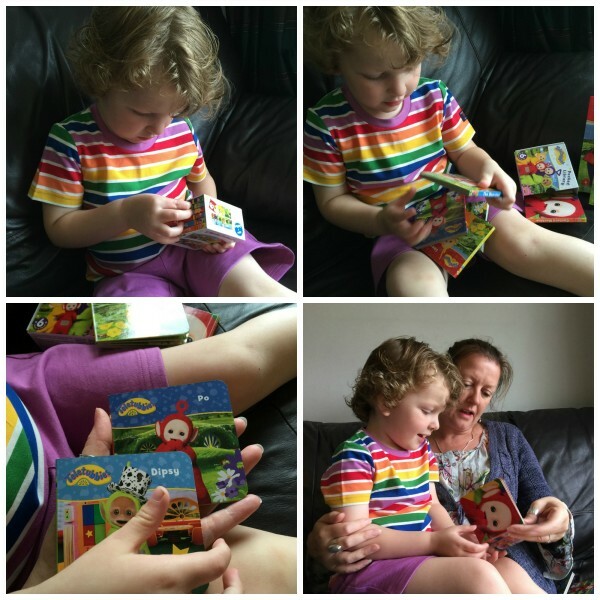 They are all board books and are perfect for my little hands to hold. 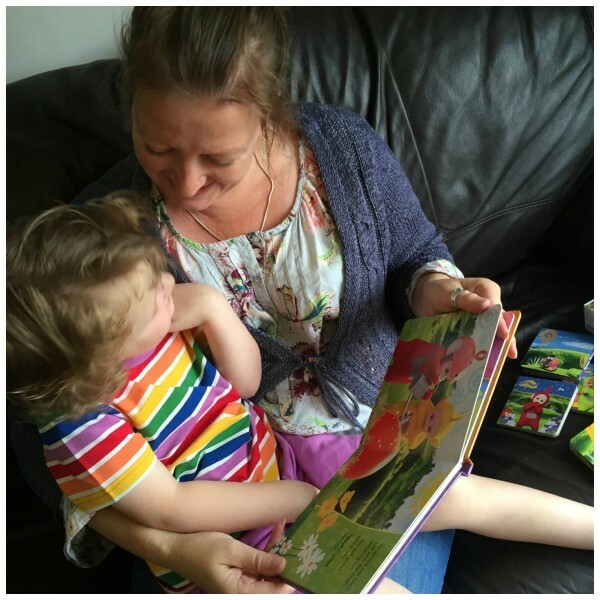 They are so bright and colourful, with great simple stories that Mummy can read to me – and I will be able to read to myself when I am older. I love how the Pocket Library makes a little picture when I put them all together too. 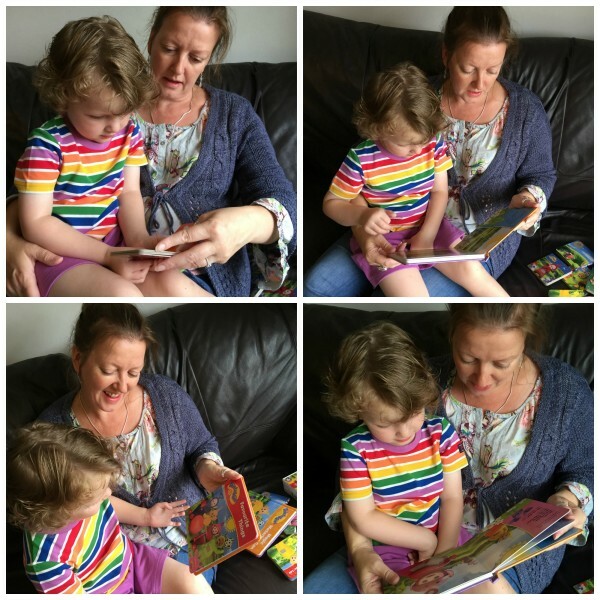 Mummy missed this – I worked it out all by myself! 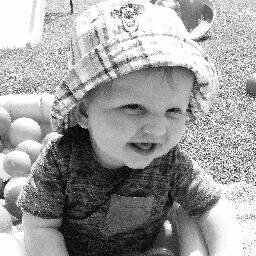 Mummy loves Teletubbies as they have so many educational and developmental benefits for me, did you realise this? *Laughter – the Teletubbies are always laughing and giggling. 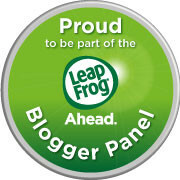 *To communicate with confidence, however I can – just like the Teletubbies. 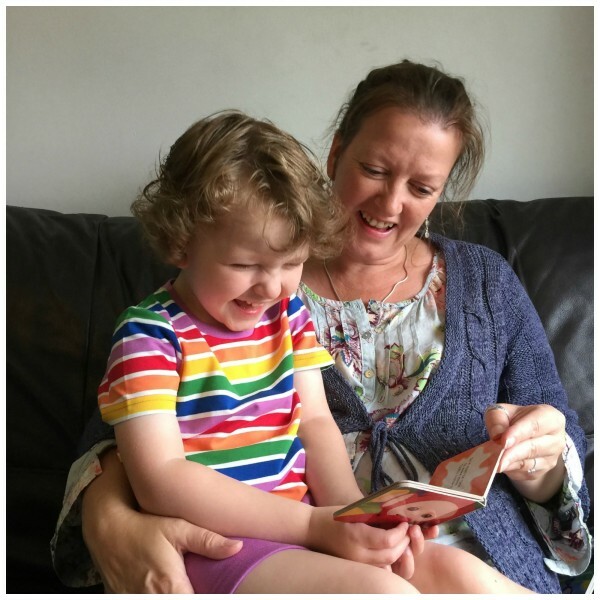 *To listening and respond – Teletubbies helps me focus on sounds and language, and interpret non-verbal signals and copy them. All this helps me to learn and respond. *Learn Knowing and Understanding – Teletubbies encourage me to anticipate events through structured signals. I will gain confidence in counting, sorting objects and recognising patterns. *To finding my voice – Teletubby speech is based on young children’s first words and so it helps me feel more confident about communicating. 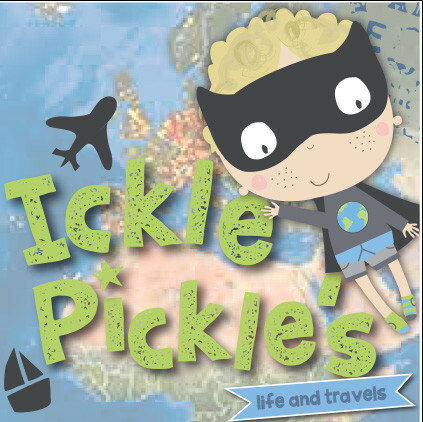 *To explore – I am my most creative through exploration and discovery – just like the Teletubbies! *To Be Me – Teletubbies encourage me to express myself through singing, dancing and creative activities. *To Be Active – Watching the Teletubbies gets me moving! 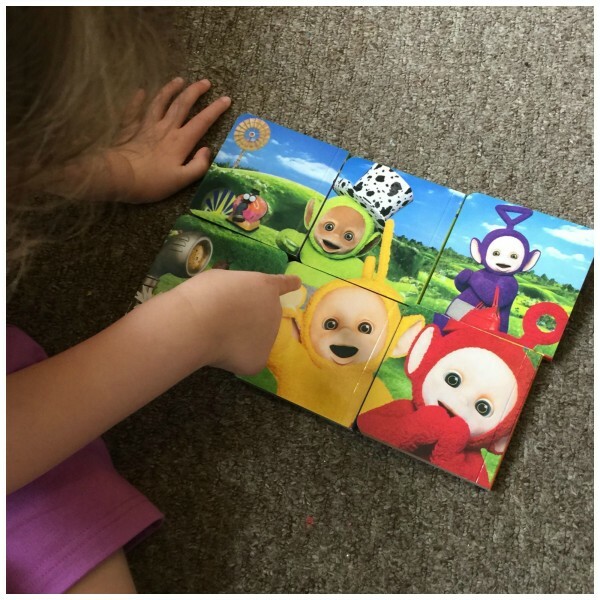 *Coordination – I am fascinated by the way the Teletubbies move and joining in the dancing, songs and games is good for my confidence and well-being. I love Teletubbies because they are bright and happy, so cute and lots of fun! The new series bounced back onto CBeebies last November, and you can currently find the Teletubbies weekdays at 7.20am, 9.30am and 1.30pm on CBeebies. You can also catch up with any episodes you have missed on the BBC iPlayer. Are you new to Teletubbies or do you remember them from the first time around? You can buy The Pocket Library for £3.99, Magic Watering Can for £4.99 and Favourite Things for £4.99 from Amazon. 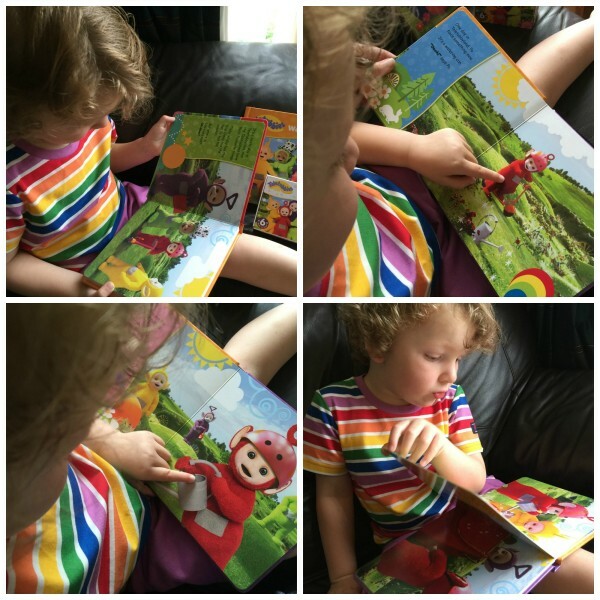 To enter to win your own bundle of Teletubbies books, enter below. The question is, Which is your favourite Teletubby? We were sent a set of Teletubbies books for our honest review, and have been compensated for our time. I think they’re all adorable but I always thought Tinky Winky was funny! Oh my God I loved Teletubbies!! My favourite one was Po. I even had a watch with it! Mine is Tinky Winky , thanks for running this lovely giveaway. It’s always been Po, but I don’t know why! My kids love Teletubbies. Especially the game on the iPhone app. Those are lovely photos! 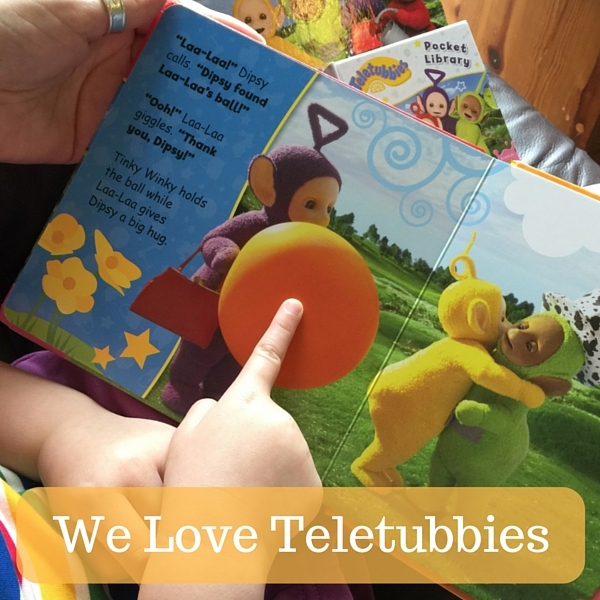 My kids really like Teletubbies – Leo says Lala is his favourite! Lucky you indeed! I love teletubbies and a book is a good memorabilia from this show. Great way to introduce them to the kids today. I was obsessed with the teletubbies as a child, I had Po everything from bags to stickers to pencils. I grew up watching this so it’s nice to see it’s still stood the test of time. I never watched teletubbies until a couple years back when I was babysitting and saw it for the first time. It was interesting and the kids loved it so must have been good. Lovely giveaway. My son had a Lala plush toy when he was little as it was his favourite. I loved the Teletubbies as a kid – I couldn’t get enough!! It’s got to be Po! She’s my sons favourite too!